You know your business the best. It’s my job to take your ideas and make them into a creative and working reality. Here are some examples. 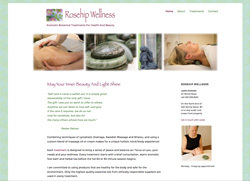 A cute website promoting Leslie’s Aromatic Botanical Treatments. 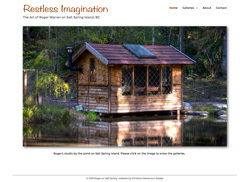 Roger wanted a website to showcase his beautiful sculptures & art work. Martinus is an extraordinary goldsmith with beautiful designs and amazing skills. 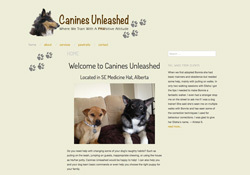 His was an existing website that needed a re-make of the entire training section. The home page also was re-done. 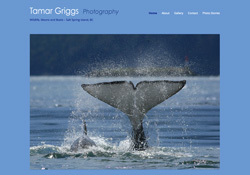 This is Tamar’s stunning Wildlife Photography site. It is a WordPress site, with SmugMug platform integration for the portfolio section. 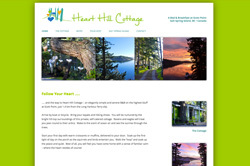 Heart Hill Cottage was a delightful little B&B on Salt Spring Island. Louise wanted a website which reflected the charming character of her place. As the B&B is closed now, the website is not live anymore. 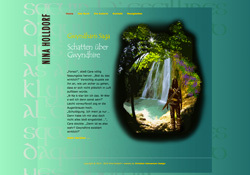 This website promotes Nina’s novel “Schatten Ã¼ber Gwyndhire”. The design of the site is based on the cover of the book. It’s written in German – and so is the website. 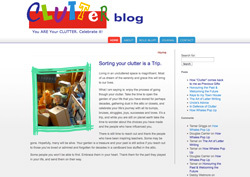 Tamar wanted a blog to share her unique experience of working through clutter. A fun blog .. worth while to check it out. 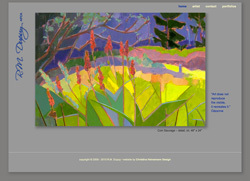 As an exceptional artist, Rosamonde wanted a classy functional website to show her work online. Elisha started her dog training business.